Australian Blackwood pre-finished Engineered Flooring. Click image for enlargement. You'll love our gorgeous, rich chocolate colored engineered Australian Blackwood flooring with mysterious rippling grain and Chocolate Zen attributes. The innovative result of carbonizing heat treatment of an Australian Eucalyptus hardwood - Eucalyptus pilularis, the deep, warm browns of this flooring give a classic, high-end, Zen look to any space. Engineered to the highest standard, the long lasting attributes of this Aussie flooring are matched only by the mesmerizing depths of color and grain that hint at the depth of the Australian spirit. Installation: Float, glue or nail. Click here for Specs, finishes, widths, etc. Minimum order 400 sq ft. Contact us to buy. 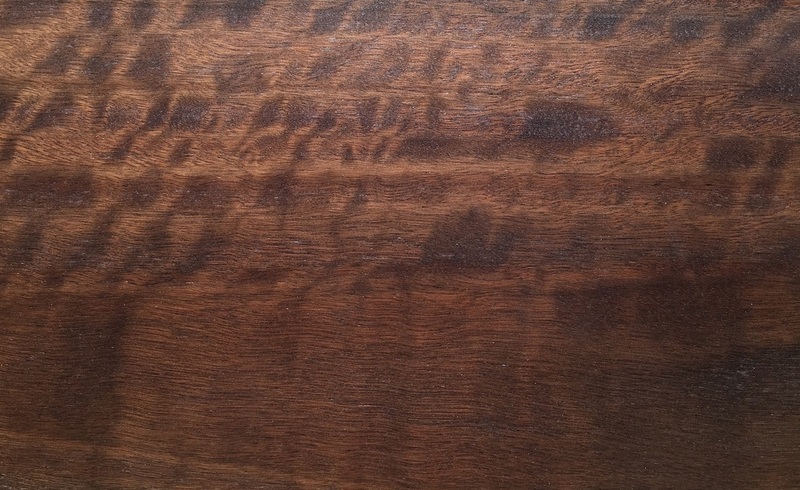 Close-up of Australian Blackwood engineered Eucalypt flooring. ©2016. Click image for enlargement of grain and color. 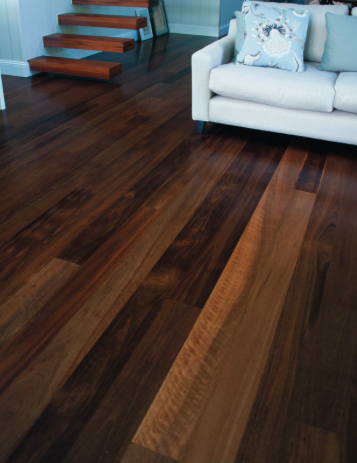 ​See our other engineered Australian hardwood flooring: Australian Spotted Gum and Sydney Blue Gum.